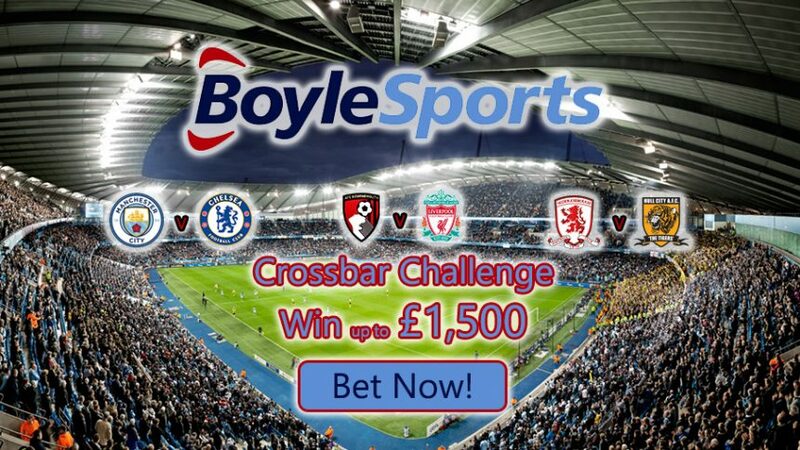 Take on the Crossbar Challenge at BoyleSports to score Premier League Double Winnings! Have you ever seen the video of Ronaldinho hitting the crossbar several times in a row? Well, imagine that happening this weekend with three thrilling ties in round 13 of the English top flight, and you could scoop up to a whopping £500 Free Bet for each game of the three encounters, thanks to Premier League Double Winnings. 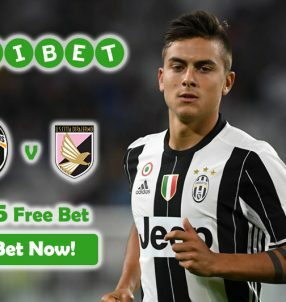 Make a bet (max £25) on each of the three thrilling ties to collect Premier League Double Winnings that can see you get as much as £500 Free Bet for each game. If any of the sides hit the crossbar during their respective games, you will automatically win up to half a grand! 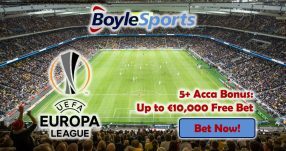 In total, you stand to make a killing of £1,500 Free Bet from a single weekend; there’s no other offer like this at any other online sportsbook. Mark our words! Note: Premier League Double Winnings applies to ALL winning markets; the initial stake will be paid out in cash, while the double winnings will be credited to your account in Free Bet. Besides the Bournemouth v Liverpool match on Sunday and the Middlesbrough v Hull City encounter on Monday night, the main highlight of the weekend is the Man City v Chelsea clash at the Etihad at lunchtime on Saturday. Taking their impeccable form into account, Liverpool at expected to seal another easy 3 points when they visit Dean Court this weekend, while the match between the Boro and the Tigers will likely go down in a draw, considering their poor performances in the Premier League until this point. 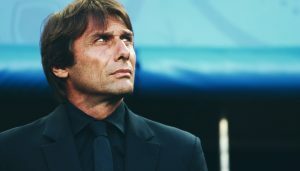 After 13 rounds in the English top flight, Chelsea are top of the table (31 points) and they haven’t lost a game since early October when they suffered a 2:0 defeat at White Hart Lane to Tottenham. However, the Blues’ great form may come to a halt this weekend, as they’re set to play against their direct rivals Man City at the Etihad. The Citizens are in third position on the table – level on points (30) with second-placed Liverpool – but in recent games Pep Guardiola’s men have blundered at home when they played against lower sides. Man City have recorded three-straight draws at the Etihad in as many matches (All three games have ended with 1-1 on the scoreline), which makes the result of the upcoming match against Chelsea somewhat unpredictable. 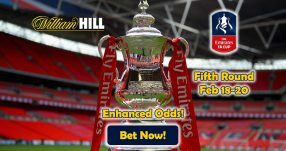 Bet on the three thrilling ties to hit the crossbar and scoop a tidy sum of £1,500 Free Bet with Premier League Double Winnings! Win £1,500 Free Bet with Premier League Double Winnings!